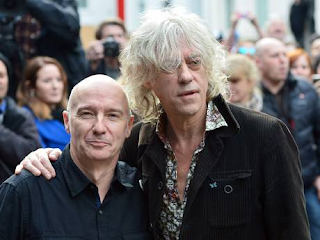 Midge Ury (left) and Bob Geldorf outside Sarm Studios today. It's now been 30 years since a group of concerned British recording artists first got together as Band Aid under the direction of Bob Geldorf and Midge Ury to support and promote ongoing famine relief efforts in Ethiopia. The song they recorded, "Do They Know It's Christmas," became a worldwide bestseller, raising more than $20 million and inspiring similar efforts by other musicians including USA for Africa. To mark this anniversary, the latest incarnation of the group, known as Band Aid 30, gathered in London this weekend to record yet another version of the song, this time to raise money to fight the deadly ebola virus. According to the British-based newspaper The Independent, Geldorf and Ury assembled an array of well-known musicians at a Notting Hill studio today to re-record the holiday staple. Participants include One Direction, Adele, Ed Sheeran, Bastille, Foals, Elbow, Ellie Goulding, Emelie Sandé, Sam Smith, Olly Murs, Bono and Chris Martin. The song is scheduled to be mixed tomorrow and released on Monday. 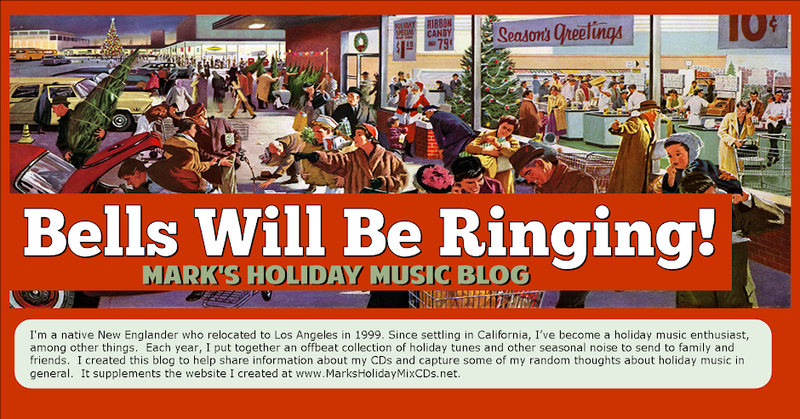 While it's hard not to respect the contributions of the various artists involved in this project, I can't say I'm looking forward to hearing a new version of the song – or any of the old ones, for that matter. At the risk of sounding uncharitable, I've never liked this song. Its message has always struck me as patronizing and condescending. To me, it seems to harden the divide between the developed world and "the other ones," who are not only poor but so blinded by their own situation that they don't even realize it's Christmas, for God's sake. As Bono repeatedly sings, "Thank God it's them instead of you." Monday's release will be the fourth official version of the song, following the original and subsequent re-releases in 1989 and 2004. It's hard to imagine that the song's going to get any better on this latest go-around, but if it helps raise money for a good cause, I'll keep any further criticisms to myself and salute the people who contributed to the effort. Watch the original "Do They Know It's Christmas (1984)"
Welcome Back for the 2014 Holiday Season!